Subject: I created this painting with the urge to throw down globs of like colors onto a canvas and swirl it around. 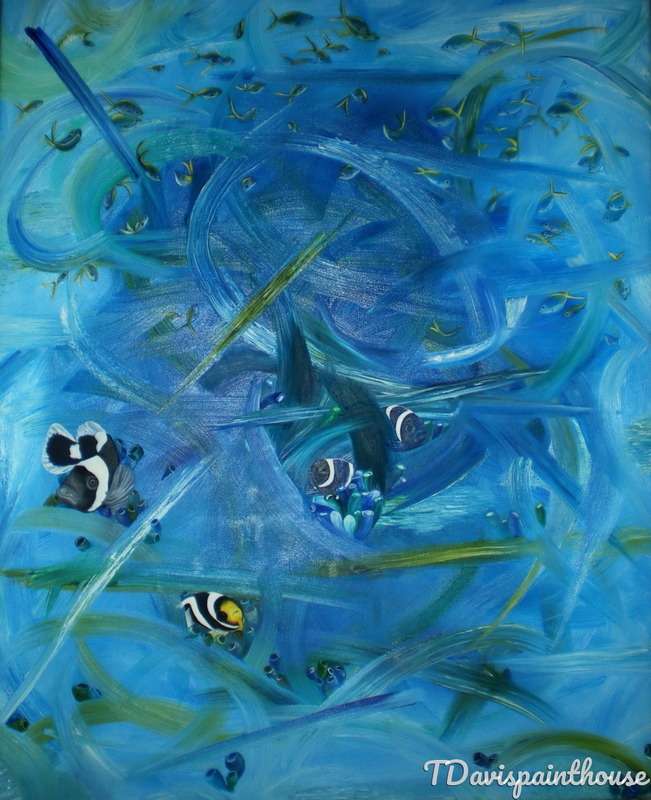 When finished, I viewed a sense of chaos developing in the under world seas. I strategically placed Saddleback Anemones, Yellowtail Fisiliers and Clark's Anemones taking advantage of the currents of the sea, transitioning from chaos to a peaceful atmosphere.